Swimming pool and sauna was good. We was in another building but there are lockers and dressing rooms. We didn't try ski bus and parking at gondola station. Fantastic staff on reception....really cheery and happy and so pleased to help. It is always a pleasure to stay at Les Fermes Du Soleil. Being able to order bread for pick up at reception in the morning was good. It was very handy having a supermarket 2 minutes walk away. The kitchen was very well equipped and the room comfortable. We were 2 adults and 2 young children in a 6 birth apartment. 6 adults would have found it too much of a squeeze. The swimming pool was good as was the sauna and steam room. 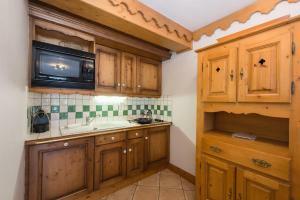 Excellent staff and the apartments are in a great location in the centre of Les Carroz with a supermarket next door. The pool, sauna and hot tub facilities were immaculate and lovely to enjoy after a days skiing. The apartments were really well equipped in the little kitchen including a coffee machine and toiletries. Amelie and Ludwig were more than amazing at helping with any needs during our stay including help with a lost phone. 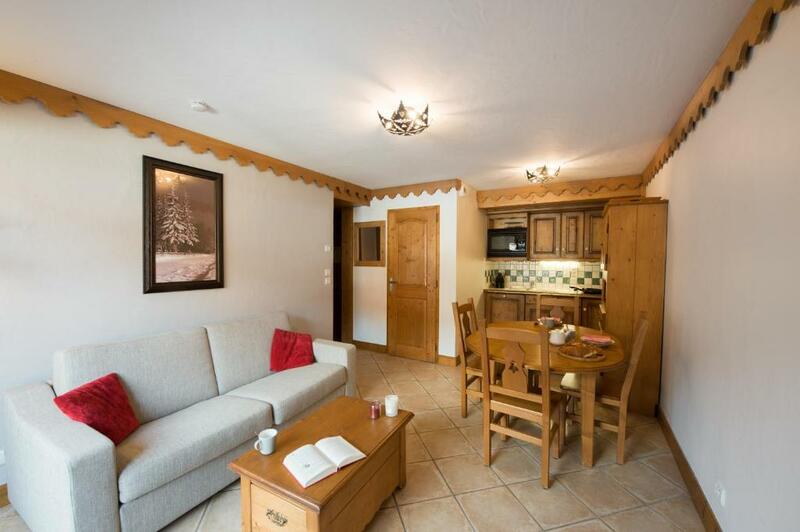 Great property located in the centre of Les Carroz. The property is close to many restaurants, bars and within minutes of a local supermarket. The gondola is located near the property but requires transport by a free ski bus, which stops in the town centre. The ski bus stops directly outside the property on the return journey. The facilities at the property are great. I particularly enjoyed the leisure facilities - the swimming pool, sauna and hammam. The room (2 bed apartment) was clean and large enough for 4 adults. Overall I had a great stay and would recommend this property. All the staff were excellent, friendly, welcoming and helpful. Love the Spa facilities for tired ski legs!! A good amount of space and facilities. Plenty of hot water. Lock in a great price for Résidence Pierre & Vacances Premium Les Fermes Du Soleil – rated 8.8 by recent guests! 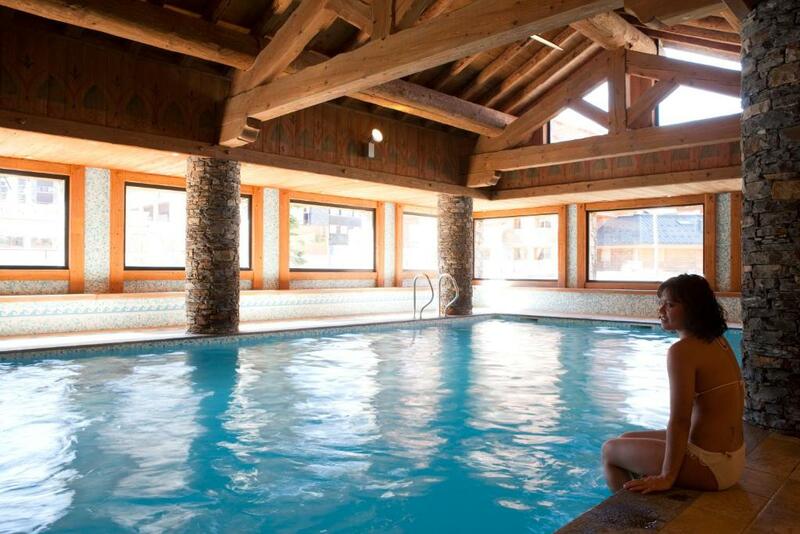 In the center of Les Carroz d'Arâches, Fermes Du Soleil offers a range of relaxation facilities, including an indoor, heated swimming pool, hammam, saunas, whirlpool bath, cardio-training room and a relaxation room. Its apartments all feature a private balcony. 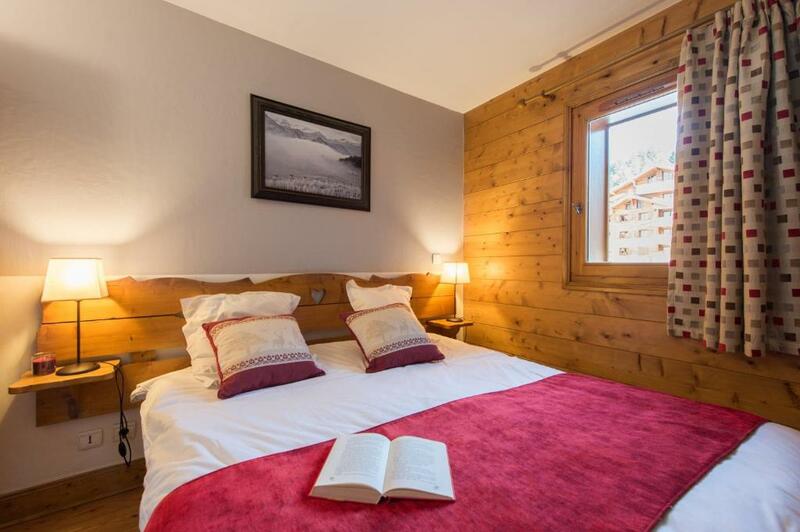 Distributed between 5 wooden chalets, the apartments at the Résidence Pierre & Vacances Premium Les Fermes Du Soleil are equipped with cable TV and private bathrooms. Guests can enjoy massages and body treatments at the Deep Nature Spa, and there is also a fitness center. Pierre & Vacances Premium is a 45-minute drive from Megève and 50 minutes from Chamonix. 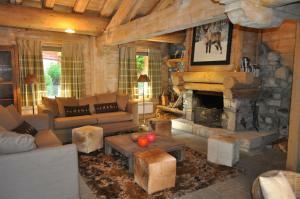 This property is also rated for the best value in Les Carroz d'Araches! Guests are getting more for their money when compared to other properties in this city. When would you like to stay at Résidence Pierre & Vacances Premium Les Fermes Du Soleil? This apartment features a living area with 1 double sofa bed and one bedroom with a double bed. Beds are made prior to arrival. It has one independent bathroom with a bath. The fully equipped kitchenette opens on the living area. This apartment features a living area with 1 double sofa bed. There si one bedroom with a double bed 2 bedrooms with 2 single beds or one bedroom and one mezzanine with 2 single beds. Beds are made prior to arrival. 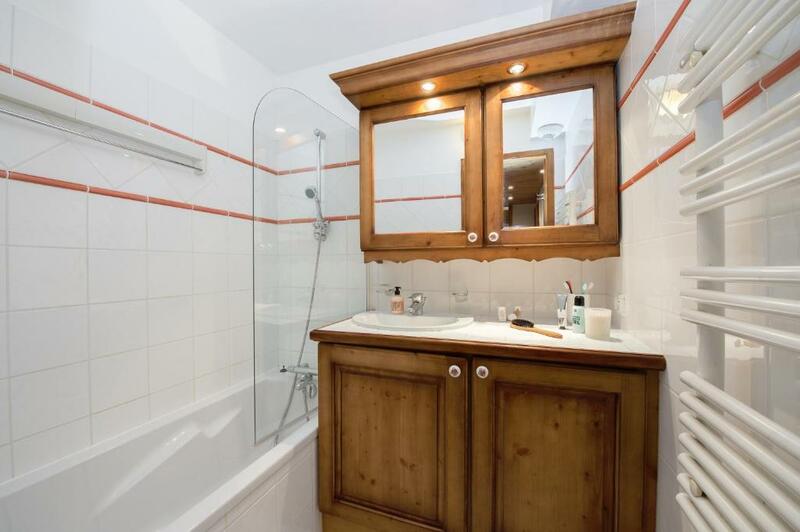 There is one en-suite shower room in the main bedroom. It has one independent bathroom with a bath and a shower. The fully equipped kitchenette opens on the living area and has a Nespresso® coffee machine. 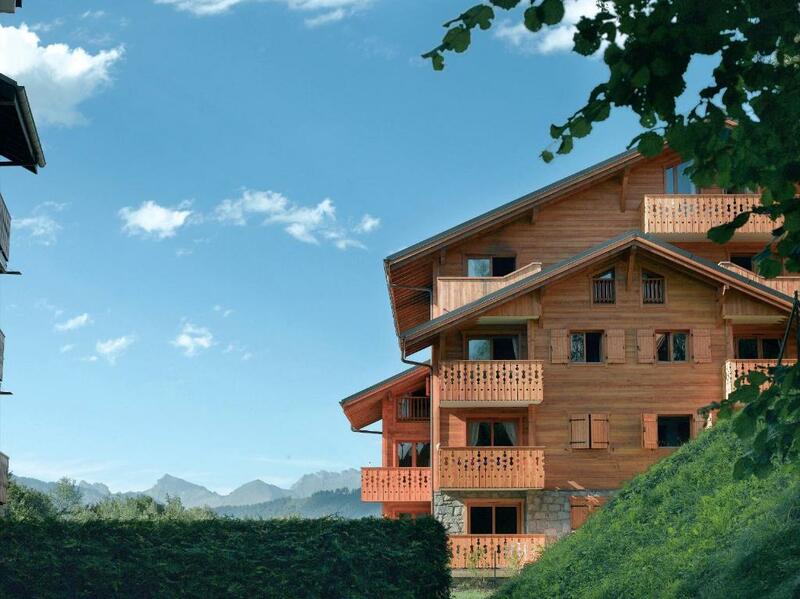 House Rules Résidence Pierre & Vacances Premium Les Fermes Du Soleil takes special requests – add in the next step! A EUR500 damage deposit is required 0 days before arrival (about USD562.17). This deposit will be fully refunded 0 days after check-out, as long as there isn't any damage to the property. 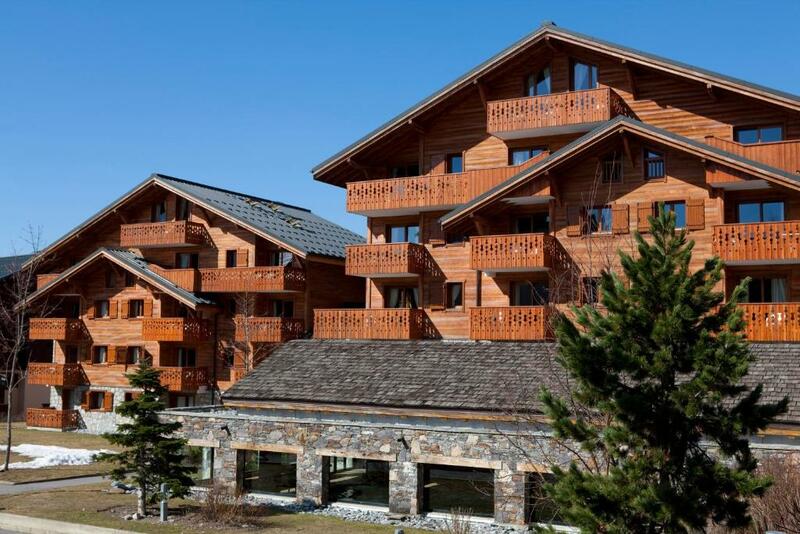 Résidence Pierre &amp; Vacances Premium Les Fermes Du Soleil accepts these cards and reserves the right to temporarily hold an amount prior to arrival. Résidence Pierre & Vacances Premium Les Fermes Du Soleil accepts these cards and reserves the right to temporarily hold an amount prior to arrival. A baby kit, suitable for children under 2 years weighing less than 15 kg is available free of charge. The kit includes: 1 cot, 1 high chair and 1 fold-up pushchair. Subject to availability and upon reservation. A damage deposit of EUR 500 is required. That's about 562.17USD. You should be reimbursed on check-out. This was not the room advertised and the pictures we saw and feel robbed for that as the room we got was ridiculously tiny for 6 people ! That we didn't have to leave.....!! The apartment could just do with an extra armchair or two, there is only one 2 seater sofa for relaxing on in the evening in an apartment that sleeps 4. Nothing - if I was being picky I would say the jacuzzi was not warm enough. Position of our room (A2) had no sunlight. Location and the excellent leisure club. Swimming pool and friendly staff. Stayed here 3 adults and 1 toddler in a two-bedroom apartment for a ski vacation. Baby kit provided was excellent (bring linen though! ), but not much room for cot in one of the bedrooms so she slept in the living room. Two bathrooms were useful. Kitchen very well organized and equipped, nothing was missing. Play area in the lobby was a huge hit and our daughter loved it. Free sledges provided, but come early in the morning as they do run out, and keep in mind the walk to the sledge area is about 10 minutes. Swimming pool excellent and gym as well. Free WiFi was okay for surfing and sending images, but not much more than that. Ask first in which apartment block you are staying so as not to carry your luggage around unnecessarily. Location nearby to supermarket, free ski bus stop just outside (though makes a long detour around village) or a 5-min walk in the town center (direct to gondola). Ski room very very basic, no boot warmers - suggest hiring lockers at gondola station to also make the walk to the bus much easier. The rooms were very small. Just 1 toilet roll provided. Balcony very small. Sauna not working.